This second round of the Innovation Challenge follows an impressive response to round one of the Challenge, under which nine New Jersey communities were each awarded $100,000 to advance their planning projects in partnership with higher education institutions and other strategic partners (as reported earlier here in REVITALIZATION). The Innovation Challenge was initially announced by Governor Murphy in July, with the first round of approvals unveiled in September. Based on the evaluation and scoring of proposals received, nine contracts of $100,000 each were approved by the NJEDA Board for City of Bridgeton, City of New Brunswick, Passaic County, City of Trenton, Atlantic County, City of Atlantic City, Camden County, Union Township, and Monmouth County. Due to the robust response to the initial phase of the Innovation Challenge, the NJEDA has allocated an additional $500,000 for grants of up to $100,000 each through a second round. “As the EDA team begins working with each of the first round of Innovation Challenge winners, we eagerly anticipate proposals for additional projects that will help to lay the groundwork for Governor Murphy’s goal of a stronger and fairer economy,” NJEDA Chief Executive Officer Tim Sullivan said. “Municipalities and counties are embracing the idea of making New Jersey the State of Innovation by engaging with public and private entities to invest strategically in our communities in ways that will lead to inclusive and sustainable economic development,” he added. Through the Innovation Challenge, the Governor invited communities to challenge old ways of thinking and consider creative and groundbreaking approaches to building public-private and community partnerships, nurturing entrepreneurship, and upgrading infrastructure. Specific scoring criteria are outlined in the Innovation Challenge application, and applications will be accepted on a rolling basis. The nine municipalities/counties that were awarded planning contracts through round one of the Innovation Challenge are not eligible to apply for the Innovation Challenge Program in a lead role, but may be included as a partner in applications where they play a non-lead role. A municipality or county that submitted a proposal under the first round but was not awarded a planning contract is welcome to re-apply. NJEDA staff recently kicked off a series of meetings to begin working with the nine municipalities and counties that were awarded funding through the pilot round of the Innovation Challenge. The first round of planning projects is expected to be completed within six to nine months. Applications will be evaluated, and funds awarded on a first come, first served basis based on date of EDA’s receipt of a completed application. Applications will be accepted up until the total program allotment has been exhausted, or Friday, January 25, 2019 at 5:00 pm (whichever is sooner). 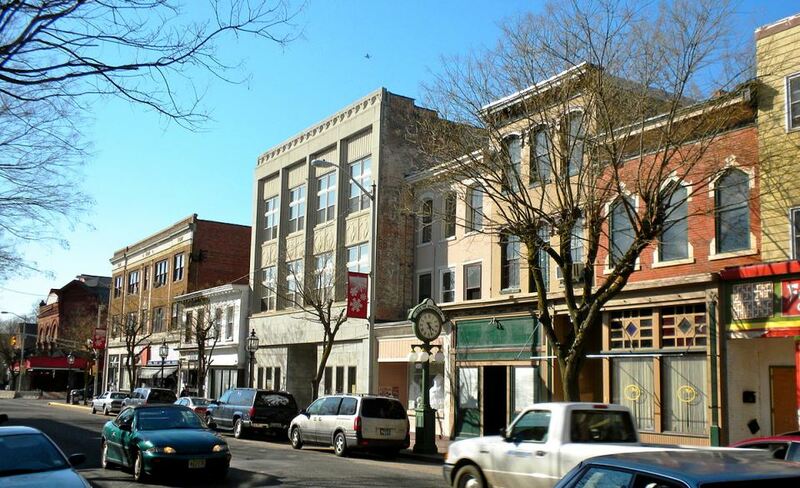 Photo of downtown Bridgeton, New Jersey by Smallbones via Wikipedia. Learn more about—and apply for—Innovation Challenge grants.